How is 2018 half over already? Time for a half-yearly update. What? It's the end of June already? How is 2018 already half over? That's slightly horrifying. All those scale model projects we plan each year - how are yours progressing? A half-year reflection is the perfect time for a video update, with my special guest presenter alongside. In this video I discuss what projects I'm currently working on, what's happening on the Dave's Model Workshop YouTube channel, and what videos are in the pipeline to be released very soon. I really wanted to build a fast build. Having spent ten months on my last project, I wanted to knock over something big but not obsess over it for months and months and months. I don't think my audience is actually that interested in RC. Not bad for a dilettante. Anyways, enough reading about it - just watch the video. 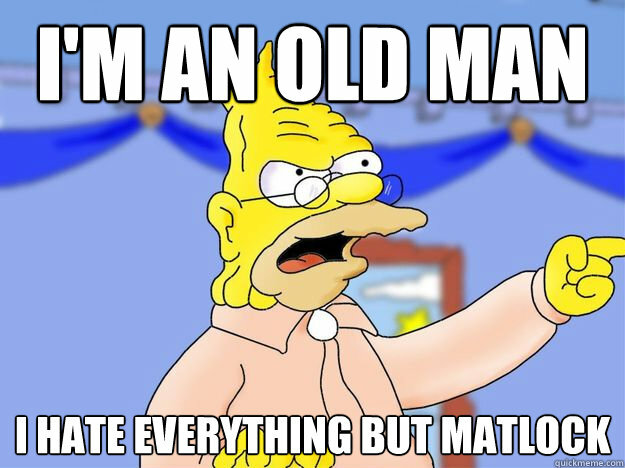 It's far more entertaining. Plus my daughter insisted on me including some extra bonus footage at the end. How is 2018 half over already? 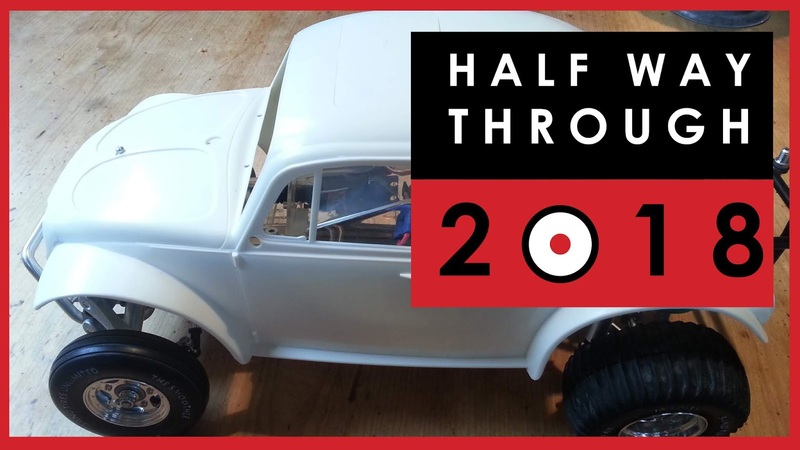 Time for a half-yearly update! 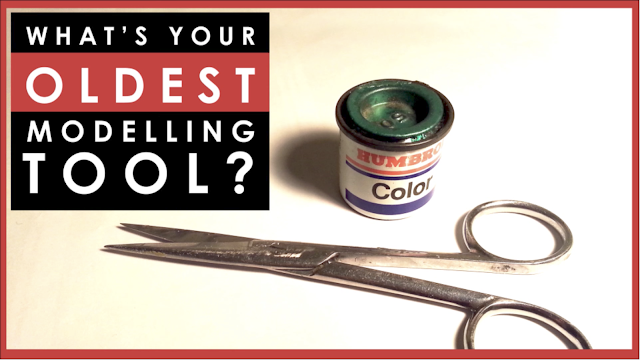 New video: What modelling tool have you been using the longest? I recorded a couple of videos while I was finishing up The Seahorse, which I will release in the next couple of weeks. This is one of them. 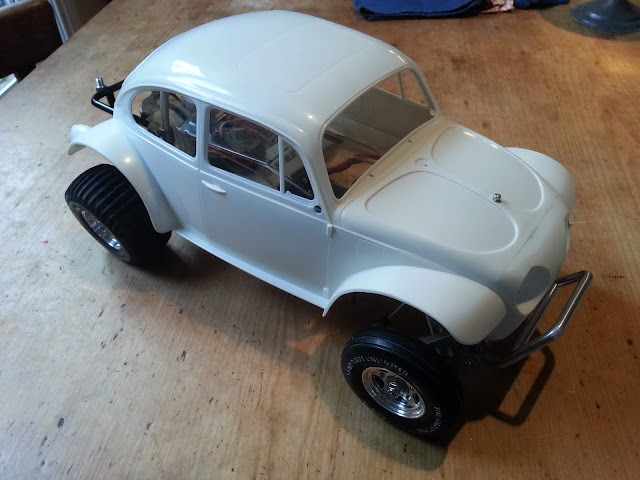 I was cracking open a tin of Humbrol enamel paint, a garish metallic green left over from my very early days of making models when I was rather partial to a loud hot rod model. Then I realised that I've been using this same tin of paint, albeit sparingly, since about 1988. That's thirty years. 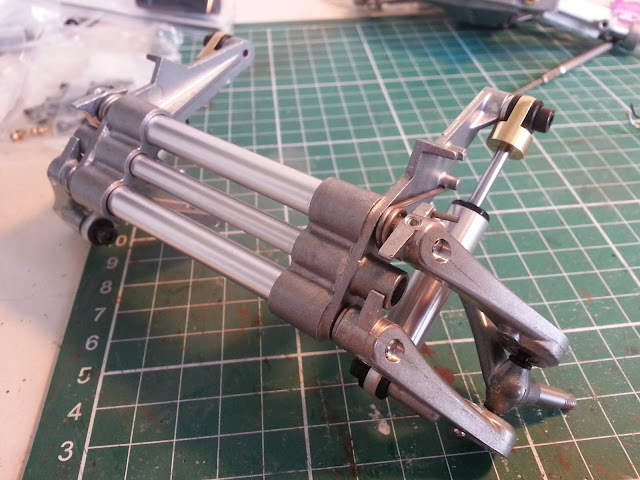 It got me to thinking: what are people's oldest modelling tools? What have you been using the longest? For me, it would have to be a pair of surgical scissors that I use to cut pieces from plastic sprue. I've been using these since my very first model ever. 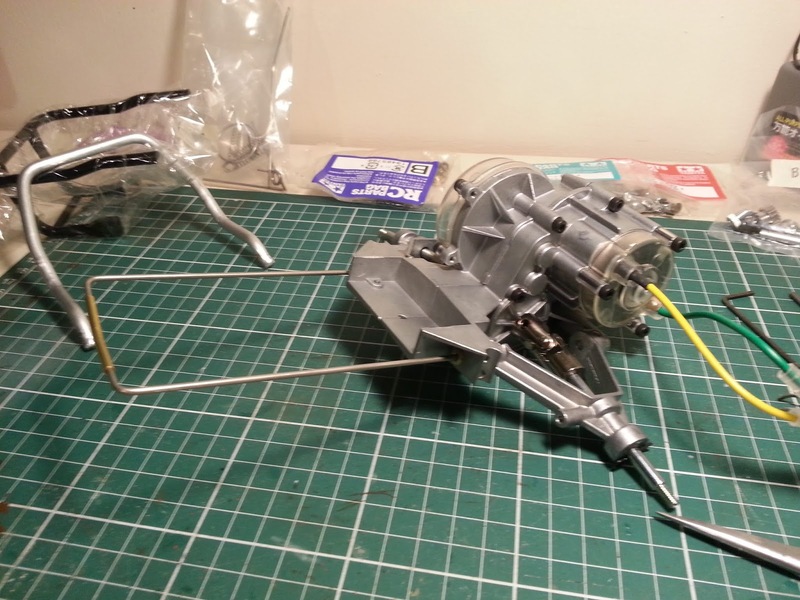 What tool have you been using the longest in making scale models? It's been a big week, I've spent a lot of time just staring at the trophy I won eight days ago, resting on my laurels and basking in the glow of victory... which would make me an insufferable douchebag. 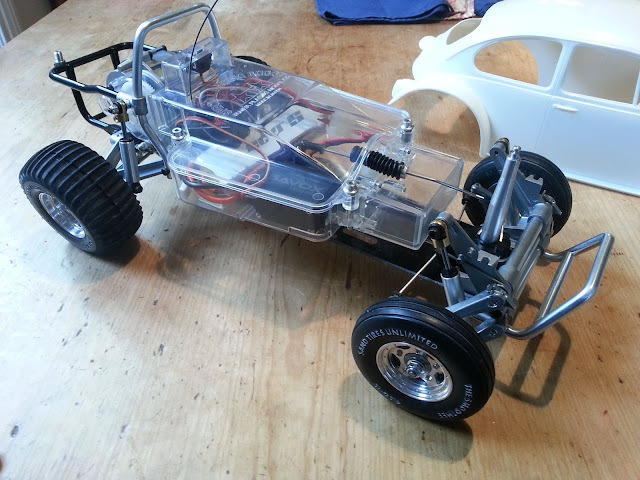 In all seriousness, of course I haven't - I've moved on to the next project, my 1/10 scale remote controlled Tamiya Sand Scorcher. I have to admit, it is an absolute pleasure to put together. I was a tiny bit daunted when I opened the box - so much serious looking metal! So many tiny screw and bolts and nuts! Electronics! But as soon as I started building the engine case and gearbox, it all just fell into place. The engineering of the pieces is just astounding. 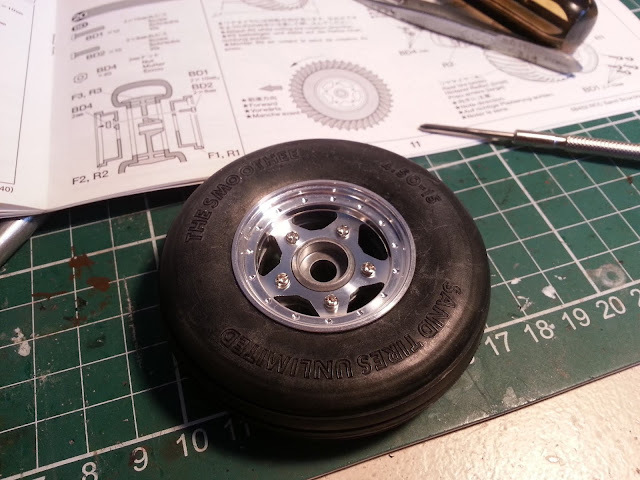 the tolerances for 3mm diameter screws to work in cast alloy gear casings - just wow. Perhaps it is because I've spent the last ten months scratchbuilding. 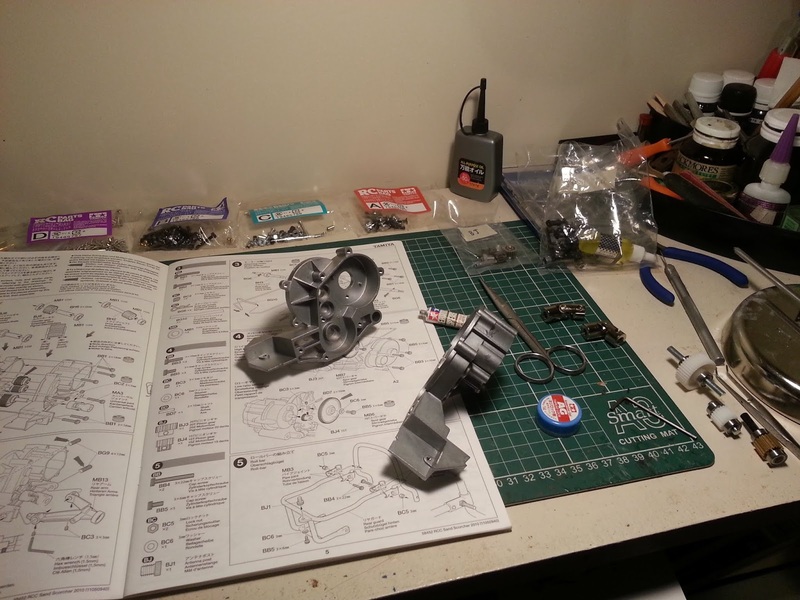 You know, every single thing you want on your model you have to construct it yourself. 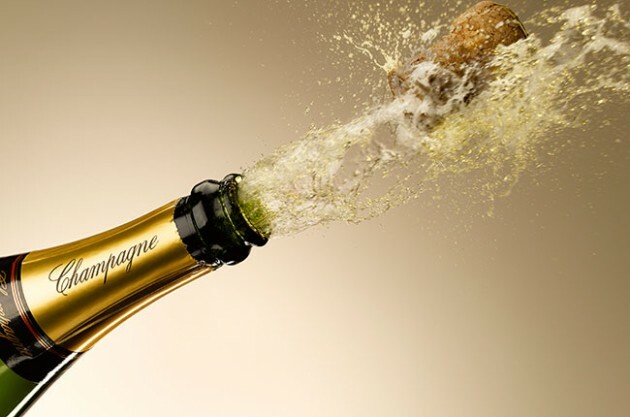 In contract, it feels very breezy and simple to just open a box and pull out the exact piece you need at that very moment. One disappointment I have is that my kit was missing one single 6x22mm screw. Doesn't sound like much, but that single missing screw is one of two that holds the entire back rollcage together, and that back rollcage is what supports a large part of the rear engine and mounts it to the chassis. So I've had to put those steps on hold while I ordered a replacement online (AU$4.50 for six screws, courtesy of ebay) and wait for them to be delivered. That's been a bit of a pain in the arse if I'm being honest, but it's just a case of bad luck I guess - someone had a sake hangover that morning at the Tamiya factory while filling the tiny plastic bags full of their prescribed selection of screws! My other disappointment so far is that the shock absorbers leak damper fluid. They go together beautifully, but they do seem to seep. I had done a little research online before I started building, and I knew this was a fairly common problem with Sand Scorchers. I also knew that one solution was to mount the shock absorbers upside down, so that gravity isn't working against me. Other than that, I have nothing but praise for this kit. It really is a pleasure to put together. 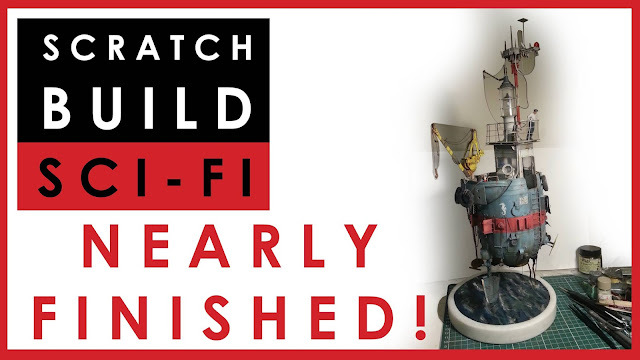 I'd estimate I'm about 30% through after less than a week - I'm not bothering to video the entire build like I did with The Seahorse, partly because I just wanted a fun, fast build and partly because I don't think I have the credibility on YouTube to publish many RC videos - I'm an utter noob, and there are a gazillion other channels out there who can discuss RC more authoritatively than I can! Plus I also don't think that it's really what my audience are interested in. Front suspension and steering. These shock absorbers are deliberately mounted upside down, I promise! Anyway, back to the build. Even when I encounter problems, I'm still finding myself sitting there thinking "Ahhhhh, this is easy!" 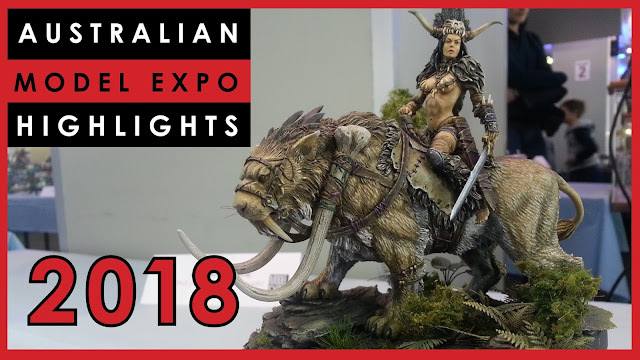 Since last weekend's Australian Model Expo I've been busy editing together all the footage I shot, and I've finally put together a video of the whole event. There were 779 models entered from 248 entrants - that's a big show, and I tried my best to film as much of it as possible. That's why the video is almost an hour long! Going back over it all I was blown away by some of the skill involved. 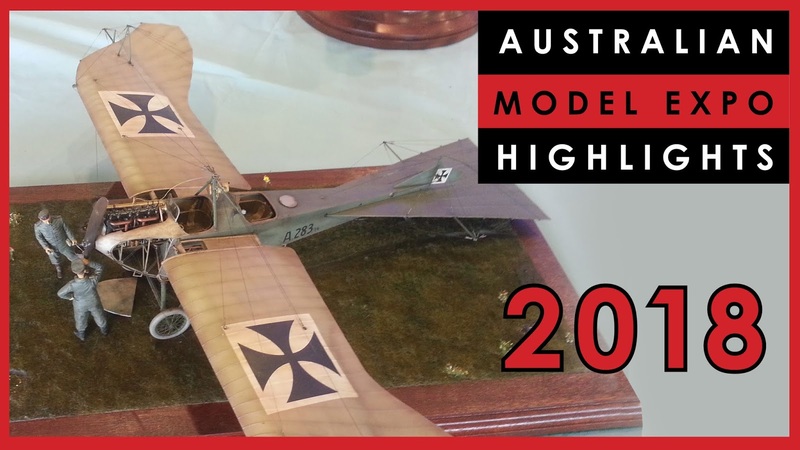 There are some truly outstanding models this year. 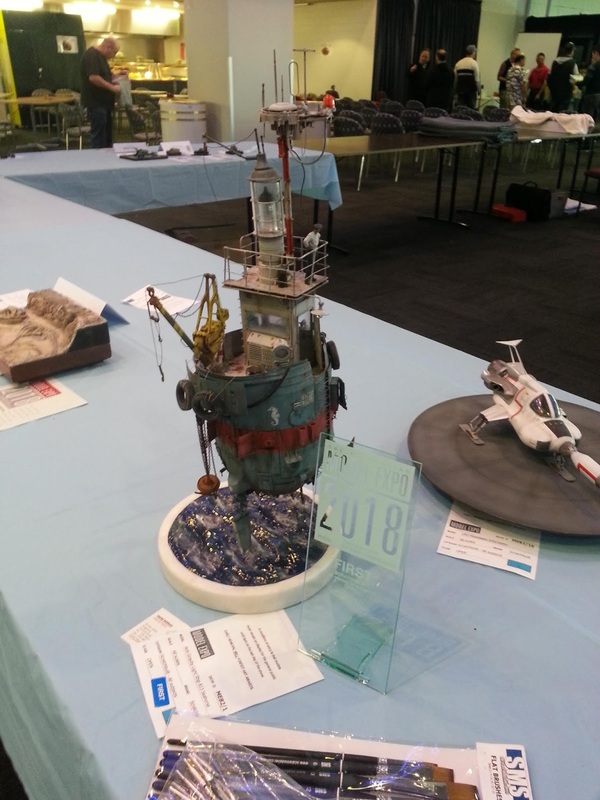 That said, I didn't spot anything that really, really captured my imagination and just blew me away like the big beached submarine in the 2017 Australian Model Expo. 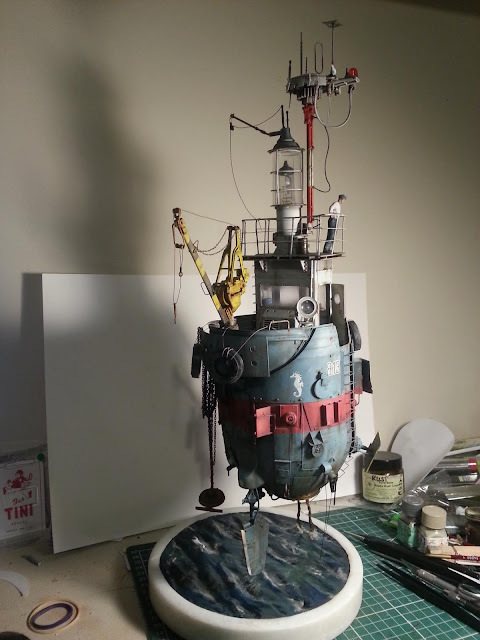 I also cover off the Scratchbuilt category that I entered in, so you can see the high calibre of the other entries. That Starbug was lovely, I actually found its build log online and there was a lot of detailed work that went into it - you can check it out here. So dive on in and check it out. It was a great model competition, and while 50+ minutes of video might seem a lot you can jump around and look at what interests you. 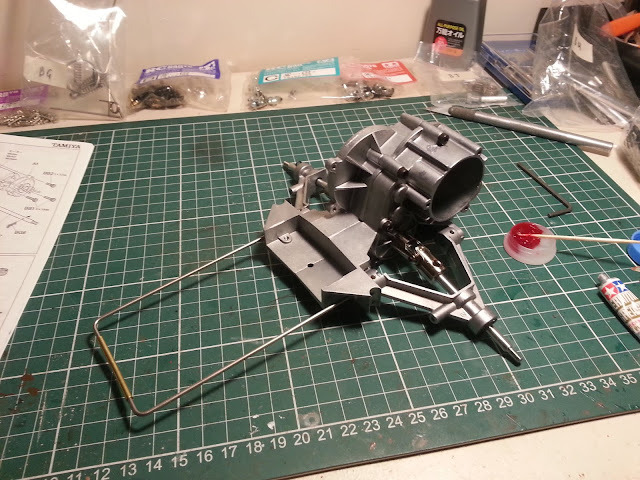 RC is a bit of a challenge compared to what I'm used to making static display scale models, but after ten months of scratch building every element I needed on a model, it is an absolute pleasure to build a model where you just pick the piece you need out of the box and attach it! And I have to say, the engineering of the Sand Scorcher is a joy to behold. The precision and effortless fit of the cast metal pieces is astounding. The pieces just fit. Wow. Damn, those supporting wires are wobbly. It's like a bloody jack-in-the-box. A further video showcasing the entire Expo and all the amazing models on display will be coming very, very soon. 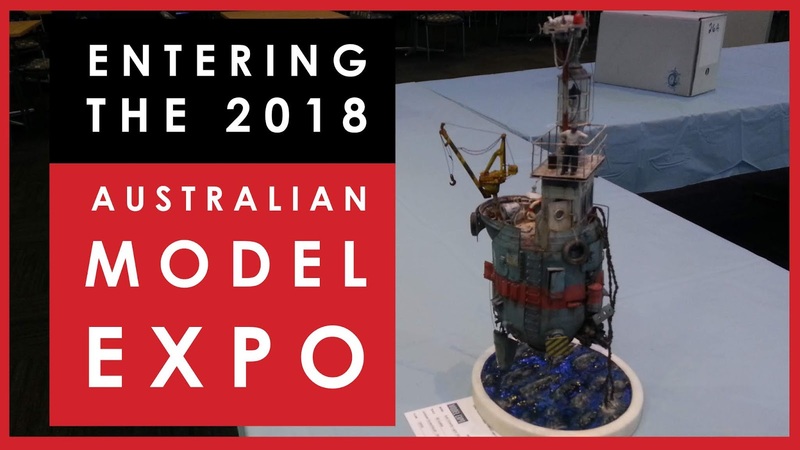 Entering my model in the 2018 Australian Model Expo. 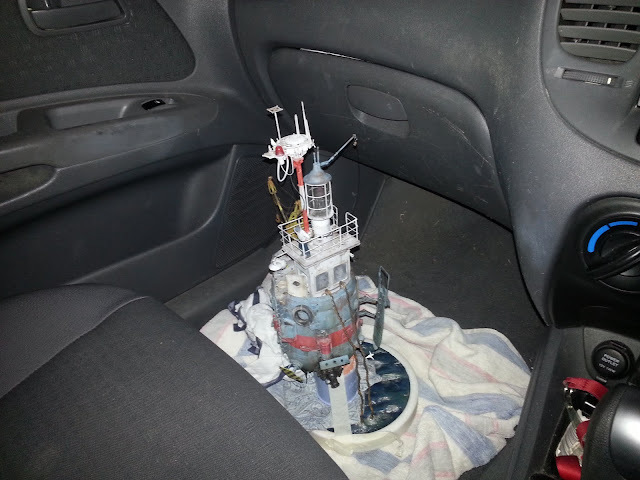 I realised there is no "safe" way to transport my latest build. The Seahorse is so delicate, with so many frail bits that poke out at the sides, that I haven't been able to come up with any packaging to place it in for transport. Plus, let's not forget it is mounted on what are effectively two bouncy springs! 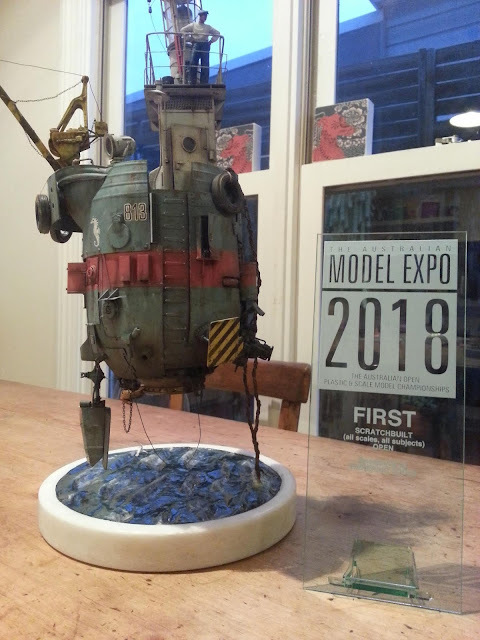 So here it is, on its way to the 2018 Australian Model Expo. I've got my emergency repair kit with me: CA glue, tweezers, touch-up paint, paintbrush, toothpicks. It's an hour's drive from my home. Fingers crossed we make it in one piece. Special rather over-excited update: The Seahorse is almost finished! Tonight I put together some of the very last pieces of The Seahorse, and I was so excited I had to make a quick video and share it with you all! I will be producing a properly-lit, properly staged showcase video soon, I promise, but for now - check out the almost finished model! 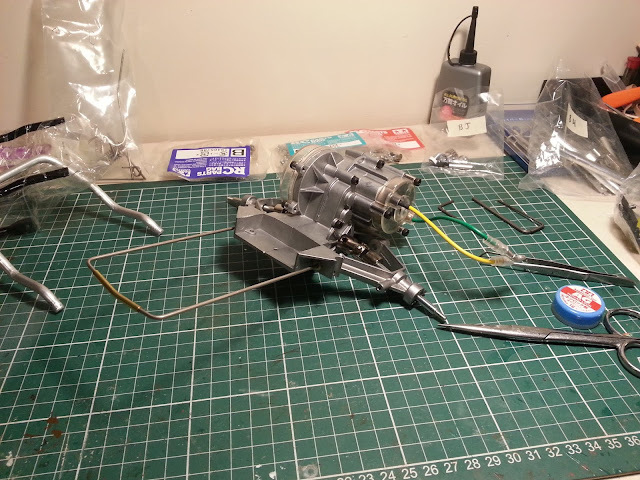 My scratch built 1/35 scale sci-fi model is almost finished! Ehrmagawd! The Seahorse is almost finished! 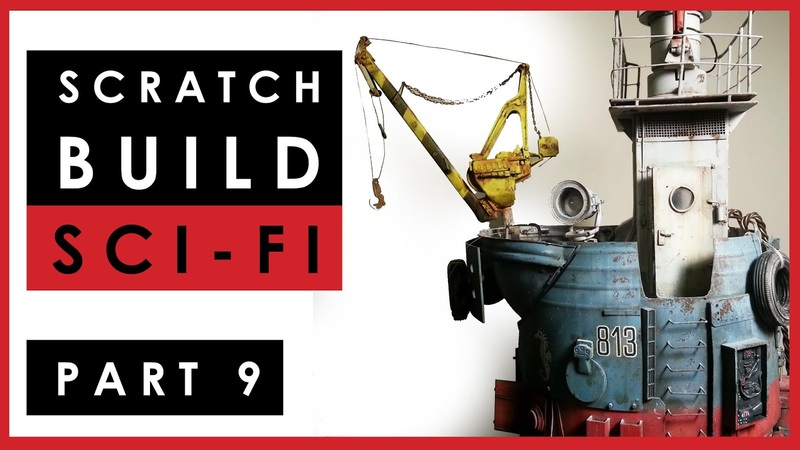 In my latest video it's about 95% complete.